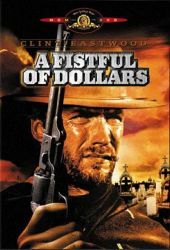 Who can forget that jaunty whistling which chirruped through the mayhem of Sergio Leone's A Fistful of Dollars? Ennio Morricone brought innovation not only to western theme tunes, but also to movie music in general. He's been nominated for an Oscar five times. On 19 July he'll be conducting the Gyor Philharmonic Orchestra and Crouch End Choir in a concert of his music at the Hammersmith Apollo, London, UK. Click the title link to read Time Out London's interview with the master. Awww man!! How come you guys get all the goods? Ennio Morricone has scored some of the best soundtracks! Have you seen "Legend of 1900" - great movie; with a lovely score. I hadn't even heard of it until you mentioned it. A lot of foreign movies don't make it to the UK, because we insist on subtitling them, instead of dubbing them, which puts most people off. It's a snob thing: if you can't speak the language, you shouldn't be watching their movies! Fortunately, they dubbed the spaghetti westerns, which is when we first got to hear Ennio Morriconi's brilliant scores. My favourite is still The Good, The Bad and The Ugly, althought The Mission comes a close second. I looked "1900" up in Halliwell's, and it has 3 different titles! It made it to Cannes, where it was 170 minutes long, but by the time it got to the UK they'd hacked it to 125 minutes (always a sign that it isn't going to be good box office). I'll see if I can order a copy from my local library. I've got a good collection of Morricone classics and I'd like to hear this score. Thanks for telling me about it. Another of my favourites is Kitaro. Have you tried him? His Silk Road Suite is now a collecter's item. Grab a copy if you ever have the chance. He did a great score for a Vietnam movie, but I can't remember what it's called!